The new Sutherland Shire LEP is finally here! It has happened at last, the new LEP has been gazetted. This has taken two years to be finalised and will change development and the face of Sutherland Shire. We are involved in a large number of proposed developments that were awaiting the LEP before a development application was lodged and also a number of developments which will be reviewed to determine whether a variation to the development approval should be submitted. There will be delays as the Council must deal with a huge number of development applications, together with variations to current development approvals. We can assist you with advice on how the LEP affects you and your development. You can call us on 9521 6000 or contact our Commercial Business and Property team. The 2015 LEP (formerly the draft 2013 LEP) has been made and can be viewed on the NSW legislation website. The 2015 LEP will not be available on council’s website from 23 June 2015 until further notice whilst council’s planning staff work on readying zoning information relating to the new LEP. 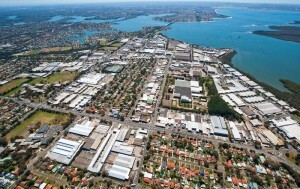 The LEP applies to all but a small portion of the Sutherland Shire and introduces new zones and development standards such as height, density and landscaped areas. DAs lodged under council’s new LEP will be assessed using the draft DCP until the DCP is adopted. This approach was endorsed by council at its meeting on 25 April 2015 (DAP092-15). The 2006 LEP is now superseded. Note: Photo and announcement courtesy of Sutherland Shire Council.